Rt.# 33E from Chocowinity to Rowe Rd. A rocked base right to the left about 12 miles East of Chocowinity. 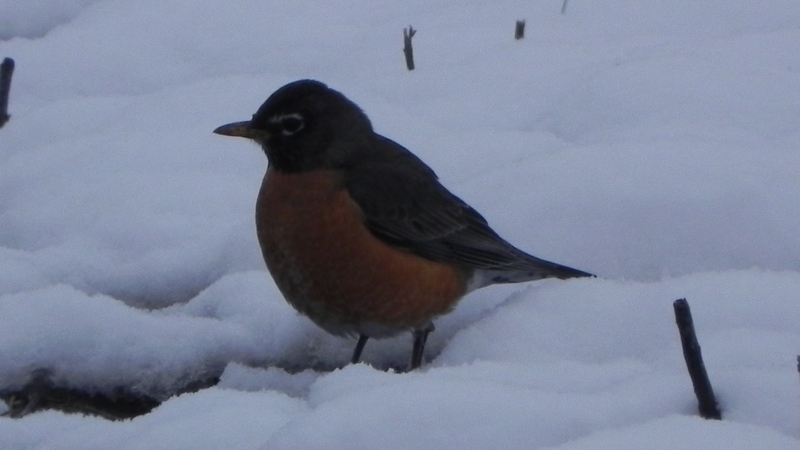 Robin eating worms in snow covered farm field.